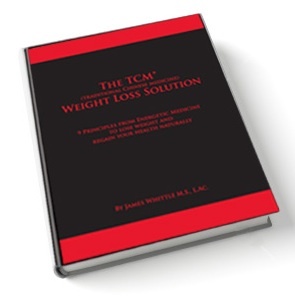 The Chinese Medicine Weight Loss Solution Ebook is full of my best information on how to lose weight naturally and sustainably. A 94 page PDF, the ebook explains Chinese medicine and the wisdom of energetic medicine in a easy to understand manner. Additionally, you will gain insights into other areas of your health and learn how to stop stress and anxiety naturally. We have combined insights from modern research on weight loss with the wisdom of thousands of years of Chinese medicine to produce a remarkable treasure trove of useful health tips. 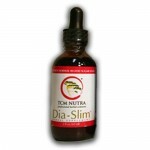 Learn secrets the Chinese have used for thousands of years to stay slim, balance blood sugar and prevent diabetes. Learn a simple movement from qigong (breath exercise) that will increase metabolism, burn fat, reduce stress and decrease the need for carb counting. Learn the 5 master keys of weight loss (I went through every best-selling weight loss book out there and found the best information and experimented on myself and with thousands of patients). Learn to cultivate the 6th master weight loss key, only found in Chinese medicine: Qi (energy). Learn why increasing muscle mass is better than aerobic exercise for burning fat. Understand exactly which foods will not spike blood glucose levels, and therefore not add weight to your body. Learn the core benefits of our detoxification program and how to purify your entire body in 3 weeks leading to significant weight loss. Learn the specifics of our revolutionary herbal formula that promotes weight loss and fat burning and lowers blood sugar and when necessary. Learn why WHEN you eat is just as important as WHAT you eat. Learn why you eat like you eat and how to break the negative patterns of addictive binging: food is a stressor. Learn how to change your emotional state in five minutes to avoid heading for the refrigerator. Dia-Slim is a potent, all natural, organic herbal weight loss formula manufactured in the USA to support normal blood sugar levels, to support normal fat burning and the support the symptoms of metabolic syndrome. * This proprietary formula is currently under provisional patent protection. Suggested Use: 30-60 drops, two times a day between meals. Mix in warm water or other beverage. Not to be used during pregnancy or lactation. If you have a medical condition or take pharmaceutical drugs, please consult with your doctor before using this product. Keep away from children. Use only as directed on label. A two month supply (two 2-oz. 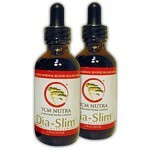 bottles) of TCM Nutra’s revolutionary herbal weight loss formula: Dia-Slim™ (Normally $100.00). Plus our free ebook: The Chinese Medicine Weight Loss Solution (normally $47.00) Normal total for all of this: $147.00. Dia-Slim is a potent, all natural, organic herbal formula manufactured in the USA to support normal blood sugar levels, to support normal fat burning and the support the symptoms of metabolic syndrome. * This proprietary formula is currently under provisional patent protection * These statements have not been evaluated by the Food and Drug Administration. This product is not intended to diagnose, treat, cure or prevent any disease.